Discussion in 'Guitars in General' started by goodsal, Dec 7, 2016. I've got my eye on one that I played recently at a local store. Loved the tone and feel, but had some concerns re intonation issues. The dealer said that a replacement tailpiece would fix that. Also concerned that it's a one trick pony. They're asking $3900. Tell me about yours! Put a Mojoaxe wraparound tailpiece on there and intonation won't be an issue. jcs and gmann like this. That seems a bit steep for an SG Jr. But yes, buy a pigtail adjustable bridge and studs, put the originals in the case and rock on. Agreed, a bit high even for an early custom color. I'd agree it seems priced high. 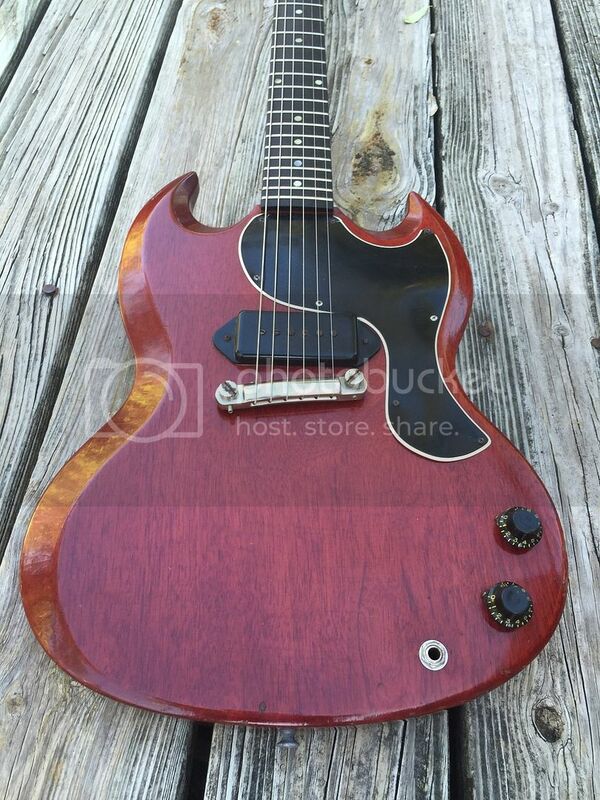 But, then again, I've even seen Epiphone SG Jr's selling used for above new retail in less common colors. I guess someone is willing to pay for it. As for intonation, it's a bit of a trade-off. You can compensate your tuning somewhat, especially on that problematic G string, to get it to sound right for particular songs. A replacement adjustable bridge does help though. jcs, scotticus, TheNewWhatNext and 3 others like this. Sweet! That has a Lightning Bar ('60's) not a Pigtail ('50's). Those bars were made for a wound G back in the day. There are a few companies that make replacements. On such a light guitar, I would avoid the "light/resonant" TP units. That guitar is light and resonant by design already. Need some beef down there. That's been my experience anyway. jcs and Teleman like this. My understanding is that the fact that the tailpiece was designed for a wound G (these came standard with 13 guage strings with wound G's!) is what causes the problem when setting it up with 10s or 11s with unwound G strings. This is my old '61. Killer guitar. I've had a bunch, and this one was one of the better. Super solid, stayed in tune. The mojoaxe compensated bridge is on there. I've got them on most of my wraparounds. I bought this at GC Hollywood for a good amound(almost half) of what the one you're looking at costs. Last year. westmike, woof*, jcs and 3 others like this. A bit pricey, considering the crack at the output jack. Is it repaired/stable? I also think $3900 is pretty high although you do get to play it first. I've had a few jrs/specials from this era and some are total dogs. My '65 is not. Any advice on how to tell if the scratches by the input jack are just superficial surface scratches or if they are cracks in the body? 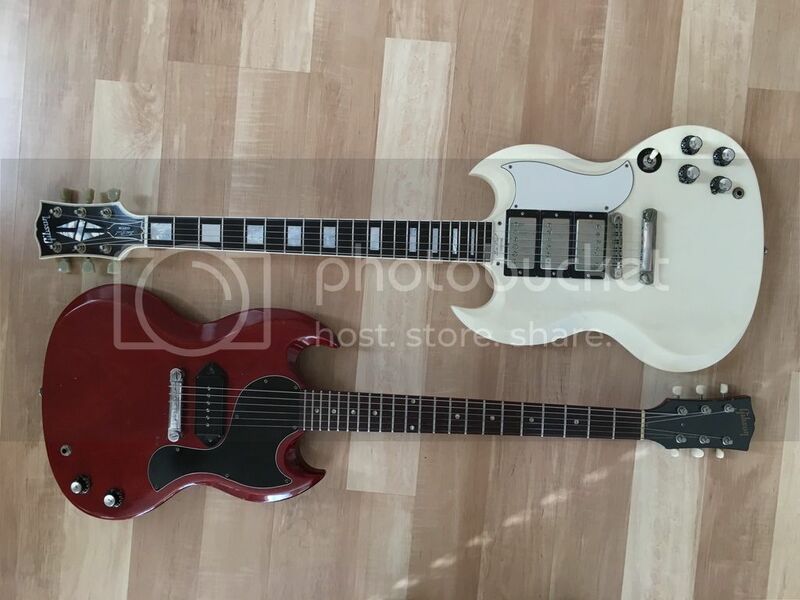 I will add that the seller is one of the most reputable high end retailers in the country, so I assume some premium over what you'd pay on eBay, Reverb or TGP is warranted. To echo the others, it's very overpriced. It's a crack. Those cracks are very common. The wood is only about 1/8" thick in that area. All you have to do is knock the cable a little too hard and it will crack. Kinda F'd up that they don't mention it. Then again, it's in the pics. Lame discription, imo. Regarding the price based on the seller. 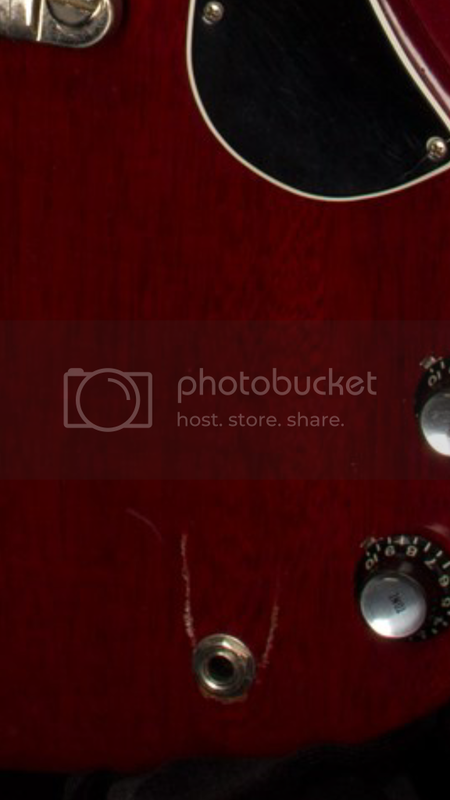 It is what it is, the guitar doesn't know who's selling it. 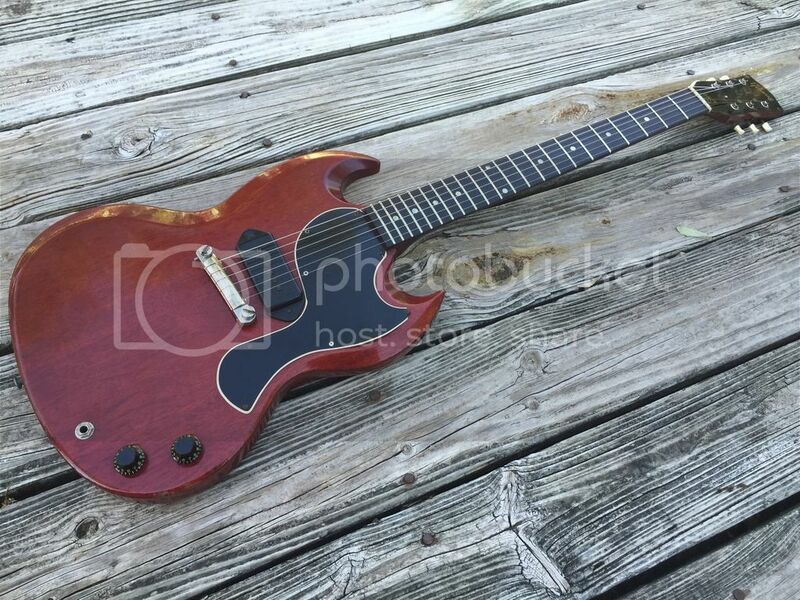 Ok, so what's the consensus on the fair price for this one, with the crack, assuming it plays well and everything is original? Right around $2200. Everything else looks straight. Overpriced and no discussion offered regarding the jack? Who is this super duper high end dealer? It's one thing to have a clear transaction, it's another to have to play cards with somebody that wants your money. F that. I would not go a cent over 2k. I would be hard pressed to do that.